The efficacy and safety of Nocturol are currently being studied in a Phase 2 double-blinded clinical trial underway in New York City and Long Island, NY. The underlying science appears rock solid so the logic of its efficacy should be obvious, but until the clinical trial results are available nothing is certain. 84 patients are being divided into 4 groups, with 21 taking 3 placebo pills, 21 taking 3 Nocturol pills, 21 taking 1 placebo and 2 Nocturol pills, and 21 taking 2 placebos and 1 Nocturol pill. After completing an initial physical, the qualified patients keep a Nocturia diary for 2 weeks to establish a baseline of their Nocturia frequency. Upon returning to the clinic, patients fill out a Nocturia quality of life survey to establish a baseline reflecting their happiness during the prior 2 weeks. They return their diaries and are then given new diaries and a 2-week supply of pills. The pills are to be taken 30 minutes before bedtime to allow the drug to begin its work before the bladder is emptied one last time before getting into bed. Upon completing the second 2-week period, the quality of life survey is once again completed and the diaries are collected. 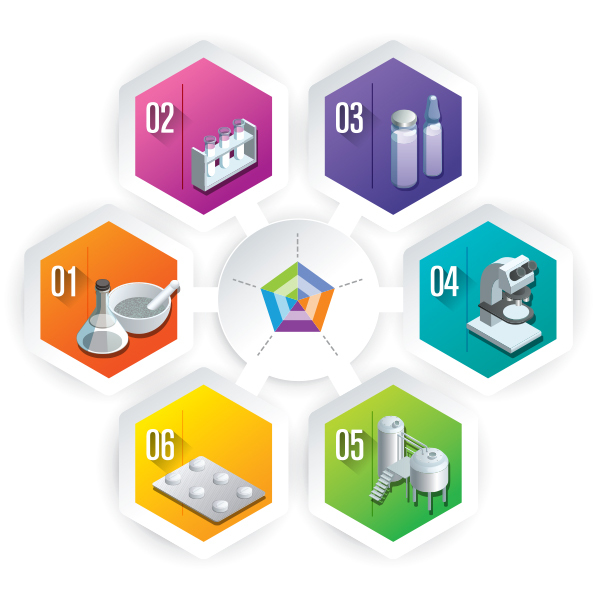 As with any clinical trial, monitoring drug safety is a high priority, but based on the safety of the underlying drugs when taken in low doses, we expect no safety issues. The other major purpose of the trial is to evaluate the efficacy of various doses of Nocturol in reducing middle of the night bathroom visits. A prior study using mouse and human bladder cells conducted at Ohio State University suggested that efficacy will not change with higher doses, but again scientific logic needs to be supported with clinical trial results to be certain about proper dosing. It is a well-established fact that prostaglandins are associated with pain, not only in the bladder, but also in virtually every other part of the body. The key is that the two drugs work synergistically by interfering with prostaglandin production at two separate catalytic sites within the COX1/2 enzymes. Ibuprofen inhibits production at the COX site and acetaminophen inhibits production at the POX site, both within the COX1/2 enzymes. The below published studies have documented the synergy between Acetaminophen and NSAIDs (like ibuprofen) in treating fever, pain, and other inflammations. Pre-existent asymmetry in the human cyclooxygenase-2 sequence homodimer. Synergism between paracetamol (also known as acetaminophen) and nonsteroidal anti-inflammatory drugs in experimental acute pain. Informal studies have also shown the direct impact of Nocturol on prostaglandin production in the bladder. 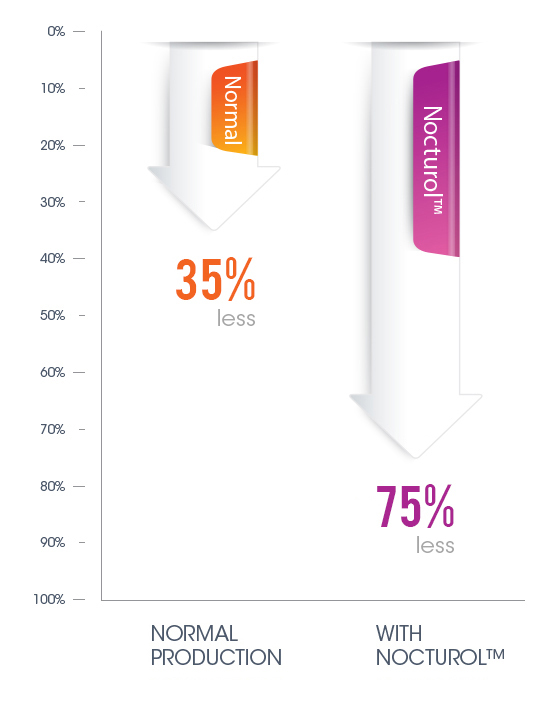 Whereas due to normal Circadian rhythm activity, prostaglandin production in the bladder tends to naturally decline about 35% overnight, when using Nocturol the reductions ranged from 71% to 75%. By collecting consistently gathered urine samples for a few nights, this result could easily be verified by scientists or healthcare professionals for a few hundred dollars with little fear of placebo effects. It is unlikely that any patients could imagine their way to lowering prostaglandin production, so the easily observable reductions can only be caused by the combined effects of acetaminophen and ibuprofen. Soon the rock-solid science and consistent informal testing will be backed up by the results of an 84 patient placebo controlled trial. The results by patient will no doubt vary widely because while some patients’ Nocturia is only caused by excess prostaglandin production, most patients are also affected by polyuria or the timing of their choices of foods and drinks that contain caffeine or alcohol. By providing access to Nocturol and proper education, our future licensee will be able to give most patients the ability to enjoy a dramatic improvement in their quality of life and overall health.